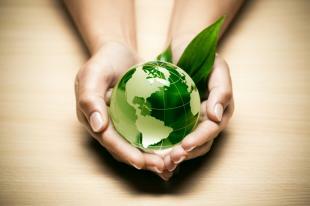 Editor’s Note: Does your company use green initiatives? If so, is it time to update your policies? If not, are you ready to get started? Today’s post will help you jumpstart your commitment to the environment and going green. Corporations, regardless of their size, have an ethical responsibility of citizenship and must consider this from a self-regulation standpoint within their own integrated business model. While the essential goal in the past business climate was to maximize profits, economic value will be judged differently to include newer variables in risk management brought forth by the acceptance of the realities of climate change. Risk Management policies are adding the concepts from the International Standards Organization (ISO). This is an organization that provides information, products, and services related to property and liability risk. With the impact of global climate change and unpredictable weather patterns that we see everyday, it is imperative that a sustainability plan be a part of every company’s culture. How your waste is managed, a basic understanding of building science, resource conservation, and the health hazards chemicals have in the workplace affecting employee health are coming to the forefront. You need to know how to be accountable for your policies and how you conduct business. There are now undisputed risks involved in ignoring these discussion topics. It is time to act. Begin the planning process through Green Education Online’s Sustainability Education Series on OpenSesame. Once you guide your company’s plan, this will provide accountability to your stakeholders and be reflected through the policies you set forth in the coming year on reducing your own negative impact to the environment. Appointing a Task Force then marketing and branding these efforts (such as recycling and monitoring energy use) are just some of the topics we cover in the Sustainability Education Series, designed for management and employees on all levels. You will be guided throughout the initial planning process, learning how to identify then build your company objectives into a results oriented sustainability model that can be measured for success. After spending 11 very successful years in the real estate arena, Kerry Mitchell established Green Education On Line in 2010 and expanded her focus to train in the government and the business community. Her company has educated over 12,000. The Sustainability Education Series is her signature offering and is comprised of a suite of 50 online, interactive training modules.